A very well made robust electric sabre mask. 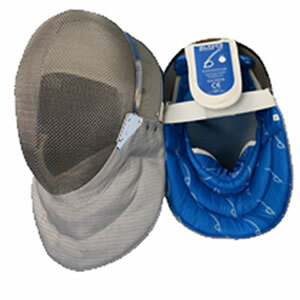 Ideal for club and competition fencers who only require Level 1 standard. Amazing value for money especially for clubs and individuals wishing to move up to electric fencing or replacing older kit. Competition rated. Inox stainless steel lame. Comfortable spongeable lining.